How Can Yoga Help Promote Beautiful Skin? Eight in 10 Americans are affected by stress, according to a Gallup poll, and that spells danger not only for our heart health, but also for our skin. 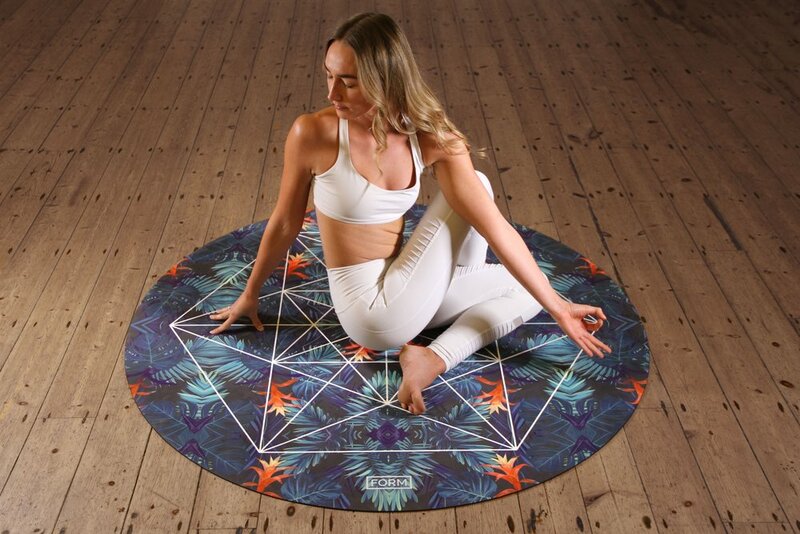 Over the past two decades, study after study has shown that yoga has the power to lower levels of stress hormone (cortisol), which is a good reason why it is is part of therapies for everything from addiction recovery, right through to eating disorders. If you are worried that your skin is losing its luster, or that you are developing lines and wrinkles, a yoga retreat (alongside a healthy diet) can help you turn back the hands of time by keeping stress at bay and by promoting circulation and oxygenation of skin. What Effect Does Stress Have on Skin? High cortisol levels can hamper skin health by promoting inflammation - thus potentially worsening conditions such as acne, rosacea, and psoriasis. Some animal studies have shown that stress can also contribute to the development of skin cancer. The American Academy of Dermatology (APA) therefore recommends that those battling skin conditions take part in stress reduction techniques such as yoga, meditation and Tai Chi, while following the treatment recommended by their dermatologist. A study published in the journal Future Science OA has found that practising yoga has powerful biomolecular effects that can reverse the process of skin aging. Asanas and pranayama lower activity in the sympathetic nervous system (which can become overactive when we are stressed). Additionally, yoga actually reduces the inflammatory response, thus enabling us to stave off skin sagging and the formation of lines and wrinkles. Finally, asanas that build strength and flexibility in the muscles promote better glucose uptake by the muscles, thus reducing levels of blood sugar in the body. Keeping blood sugar levels down is particularly important if you have a condition like diabetes, because high glucose levels hamper your immunity. This is the reason why people with diabetes tend to have a higher level of bacterial skin infections such as impetigo, folliculitis, etc. What Asanas Should You Try Out for Beautiful Skin? As mentioned above, asanas that promote good circulation can help skin cells function optimally. Three of the many asanas that do just this include the sarvangasana (or the shoulder stand - which promotes blood circulation to the face), utthanasana (or forward-bending pose, which boosts oxygen supply to the skin cells), and the trikonasana (or triangle pose - which opens up the chest and supplies abundant oxygen to the skin). Pranayama can also help you release stress, toxins, and negativity, so give it your full concentration at your next yoga class. It is amazing to think that yoga - which quells stress, improves our mood, and hones our strength and flexibility - can also have beneficial effects on our skin. Since stress and inflammation are inexorably linked, lowering one can improve the other. At your upcoming yoga retreat, ask your yoga teacher about the best poses for circulation and don’t forget to practice what you learn when you get back home! One of the greatest benefits of yoga is that it can be practiced anywhere. Many of the 20 million yoga enthusiasts in the US choose to lay down their mat and practice in the comfort of their own home in addition to attending outside classes with instruction from professionals. Setting up a home studio can help to build up your strength and stamina, allowing you to work your way up to more advanced yoga classes. Here are some tips on how you can transform any space in your home into your own personal sanctuary. Whether you live in a studio apartment or a four-bedroom house, it’s easy to carve out a space in your home that’s specifically dedicated to your spiritual well-being. You should aim to look for a space that’s free of distractions such as electronics, pets, or children. Your space should feel like a sanctuary, so it’s a good idea to add scents you find soothing and perhaps even some soft music. It’s also important to look for an area that gets plenty of natural light or that offers views of the great outdoors. Spending time around nature can help to ground us as we practice yoga and enhance our mood. If you have a garden, you may want to consider setting up your yoga sanctuary outside. While there’s no one-size-fits-all idea for a yoga studio, there are a couple of key elements that you should make sure to include. In addition to a yoga mat, you may want to invest in extra props such as a bolster, a set of blocks, or a yoga sandbag to improve posture and balance. A meditation pillow can also come in handy to help improve comfort and focus during your meditation sessions. Even within the sacred space of your home, it can be difficult to concentrate if you’re surrounded by clutter. Your yoga space should be a reflection of your inner self--peaceful and serene. Decorating your yoga sanctuary may seem like a trivial task, but it can make all the difference on your spiritual journey. Your decor should stimulate all five of your senses to keep you grounded in the present. In addition to artwork, you should also include water fixtures or windchimes to evoke your auditory senses and incense or candles to stimulate your sense of smell. Plants can also create a more balanced space and help you to keep in touch with nature during your yoga sessions. Setting up a home yoga sanctuary makes it easy to practice your routine every day, even when you aren’t able to make it down to your gym or yoga studio. By carving out a special space in your house, you can better concentrate on your spiritual growth. A home yoga studio helps to remove you from the daily distractions of life and allows you to achieve clarity and focus. A growing number of people all over the planet are discovering the benefits of yoga for their physical and mental health. According to the UN, two billion people around the world practice yoga “because it works.” In the U.S., it is estimated that there are more than 36 million individuals who practice yoga on a regular basis which resulted in the tremendous growth of the yoga industry in recent years. Most people prefer to do yoga than any other form of exercise as it can improve flexibility, strength, and can lower stress levels. But more than being able to perform impressive yoga poses, practicing yoga can also improve keep you at a healthy weight and even strengthen your body’s immunity to fight disease. Here are all the ways yoga can improve your overall health. There’s a reason why people flock to yoga or silent retreats as doing yoga for several days in a tranquil setting can have multiple benefits for one’s health. One way that yoga can benefit your well-being is that it can improve metabolism to help you maintain weight within a healthy range. Though some may argue that doing cardiovascular exercises is the only way to burn fat, doing yoga poses can actually help to improve digestion, boost metabolism, and create lean muscle. Certain yoga poses that focus on the core, such as planks, can help the digestive organs function better. Meanwhile, yoga poses target different muscle groups to create strong and lean muscles. The more muscles you build, the more calories your body can burn, and this eventually results in a leaner and more toned physique. Yoga is one of the most natural and effective immunity boosters that you can adopt. Because it fights stress, yoga can help to lower your risk of certain diseases. Stress is one of the common causes of heart disease, diabetes, high blood pressure, a weakened immune system, and fertility problems. As you go meditate and go into different yoga poses, you’ll feel more calm and relaxed as the tension melts away. With continued practice, your stress hormones are lowered, which allows your organs to function better and keep you free from disease. Instead of reaching for a pain reliever, try doing yoga regularly as a way to manage pain. The relaxation and breathing techniques that you use in yoga can lessen severe headaches, carpal tunnel syndrome, lower back pain, and pain from arthritis. Aim to practice yoga on a regular basis to keep your body healthy. Doing yoga will not only benefit your health, but it can lead to a more fulfilling and happier life in the long run.